KWESÉ TV, Nigeria’s newest satellite pay-TV broadcast network has taken a bold step to deliver innovative services and makes their products accessible to even more Nigerians. Just recently, Kwesé TV signed a partnership agreement with the 9Mobile network to bring affordable, premium content to audiences in and around the nation, Nigeria. I think this is a good news since Multichoice has decided to increase prices on its digital satellite platform, DStv. It seems this other pay-TV platform are in to rescue us in Nigeria. What are the benefits of Kwesé TV partnership with 9mobile? What are the subscription details? Free installation, a Kwesé TV decoder, 90cm dish and one-month free subscription at a cost of N10,960With Kwesé TV, you can subscribe for a 3-day plan, 7-day plan and a 30-day plan with all having different prices. This is a means to provide users with different options. 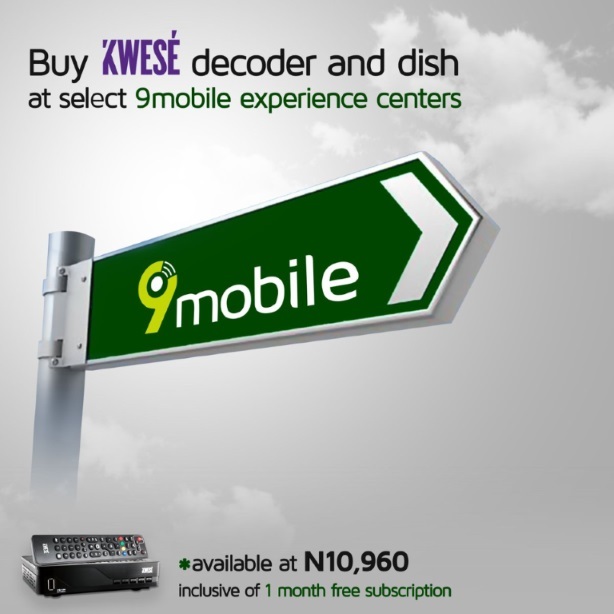 It is not a must that you have to buy Kwesé decoder, and other miscellaneous before you can enjoy their TV service. They have app for both Android and iOS devices that can allow you to watch Kwesé TV wherever you are. All you have to do is have data and Kwesé app on your smartphone or tablet and you will be able to stream live channels on your smart device. Streaming using WiFi is always recommended. Recall that, the company has earlier collaborated on the sale of Kwesé TV decoders through MTN stores across Nigeria, it was celebrated by MTN Nigeria through the launched of an amazing streaming data bundle that gives customers unlimited 24-hour streaming to all Kwesé iflix premium VIP content for N250 a day. Now, we are expecting 9Mobile to jump on the bandwagon through the launching of dime a dozen data plans for Kwesé TV video streaming. They are currently operating in select 9mobile Experience Centres in Lagos and will soon be available in other major cities across the country in partnership with 9mobile.